A lot of people have been having trouble with the Linksys WMP600N wireless adapter. I finally managed to pull the full speed out of my card. I am pulling the same down as I was when I was connected directly to my router. I am pulling 3MB/s down :). Here is my setup that I will use in the example. I have a Motorola SB6120 cable modem with the Cisco-Linksys E2000 router (Firmware Version: 1.0.04). The instructions below will vary slightly based upon the router you have. I enabled “Multimedia/Gaming Environment” on my wireless adapter. Do this by going into the network configuration properties, and into the advanced tab. 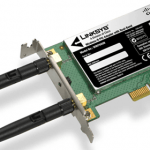 Forward the port on your router for any application you are needing the bandwidth for. 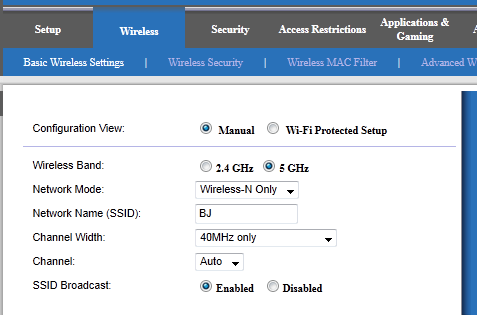 On the Cisco-Linksys router this can be done under the “Applications & Gaming” tab. I also recommend hard coding your IP address. If you follow all of the steps above, you should start pulling the maximum speed out of your Wireless-N adapter. Another note, Wireless-N on the 5GHz range operates a little differently than A/B/G. Example, I am getting less bars than I was when operating in 2.4GHz mode, however, the connection is more stable and I pull the full speeds. On step 4 hard coding ip address could you show the steps on how to do this? Well, I’ll be darned. Went from downloading with 1.2~1.5mb/s with random drops to 5.5mb/s which is my ISP max. Quick question about the driver you’re recommending. You’re saying the driver is Windows 7 x64 version 3.2.7, dated 4/30/2012. I downloaded the driver version 3.2.7, but when I look at device properties window, under the Driver tab, it shows the date 3/2/2012. As long as the version number is 3.2.7, does the discrepancy in the date make a difference? You are correct actually. Looking at the .inf file for the driver, the date is 03.02.12. I think in our post above, we were stating the date that Linksys had on their website next to the driver. So yes, you should be fine. This configuration was working really fine in my Windows 7 64bits, but now, I’m using Windows 8.1 64bits and multimedia/gaming environment option flag don’t make any difference in my transfer rate tests and I don’t know why, I guess it’s about NIC legacy driver version 3.2.7 under Windows 8.1. I’m test another drives like default drive in Windows 8.1 which NIC does not find any wifi around. I my older Windows 7, I always get around of 8MB/s and 18MB/s in large files transfers over my network. Someone have a tip? Thanks! Thanks for this – I was struggling to find the drivers on the Linksys/Cisco website, would you believe! (it kept dumping me back to my local EU site, which doesn’t have them available. Doi!) – your direct link should help me solve my problems of random download drop-outs under load. I recently reformatted and was delighted when Windows provided its own drivers – seems like they’re not quite up to par! Somehow my antenna for my ASUS wi-fi g card got damaged during a move, So I decided to go ahead and upgrade my WiFi card to the WPM600n card. It was the only thing I could find at the time to fit my PCI slot. Couldn’t get a connection to my Junky cable supplied Ariss router. I was able to re install my ASUS card and used one of the linksys antennas on it and connect. I’ve tried reposistioning the router & antenna etc without noticing any improvement. I can surf web pages if i’m patient but forget video. I have one of the high gain ASUS antennas ordered to see if it helps, And if it does I’m considering ordering a pair of high gain antennas and re trying the Linksys card. If I do this I plan on disabling the Ariss built in wifi (no 5g support), and add a external one with dual band. Any suggestions on which dual band routers that have good range without buying even more antennas. I would like to be able to watch videos over the internet.